Home eBook Distribution Is Blockchain the Future of eBook Distribution & Sales? One of the world’s largest educational publisher was recently in the news for their bold, aggressive legal steps against counterfeit. After discovering that the inventory of one of their online distributors was three-fourths unauthorized copies and that they were losing $70-$100 million annually to counterfeiters, the publishing company decided to stop taking content theft lying down. Propriety content is the capital good for publishers, and piracy constantly siphons off revenue. Thus, digital content security is paramount for publishers. With thinning profits, publishers must use every tool available to safeguard their income. Today, encryption technology is making exciting new advances and a new digital asset security technology called blockchain is making waves worldwide. Although it is currently primarily being used in the financial sector, this new technology represents an enormous opportunity for publishers as well. Blockchain is ideal for securing eBook sales and distribution. Today’s audiences are more literate than ever. Fueled by the popularity of phones, tablets and eReaders, millions of customers are more likely to read your books on digital screens than in hard copy. Digital version has become a core business need. But while this digital reality brings access to millions of customers in a click, it also raises the risk of piracy and counterfeit. Publishers need digital armor equipped with best-in-class content security technology to protect themselves against rampant counterfeit. Blockchain is a special type of distributed database or ledger that is changing the way online assets are sold and distributed worldwide. In a blockchain ledger, digital asset transactions are recorded as a block. Each block has a timestamp and a link to the previous block—and because no block is allowed to work in isolation, transactions are protected against tampering. This technology is already being used with digital currency, such as Bitcoin, to ensure the legitimacy of each transaction. Applied to publishing, blockchain is a strong protection against counterfeit and piracy that will enable publishers to host, distribute and monetize their digital products. Digital content doesn’t stop at text. There’s a range of propriety multimedia content including audio, video, and animations that are created with a lot of investment and hard work. The risk of copyright violation is high: pirated works can reach millions of users online, leaving a big hole in your pocket. There are seven core principles of encryption technology which must work alongside eBook distribution in a blockchain implementation. These include network integrity, distributed power, value as incentive, security, privacy, rights preserved and inclusion. These principles work together to provide publishers full control over transactions and distribution of copyright material. 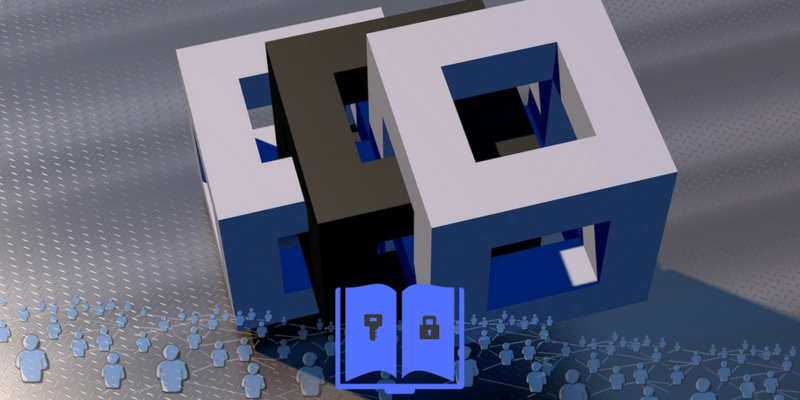 Encryption is already a mainstay security technology in eBooks, and blockchain comes as a major security upgrade. How Does Blockchain Secure eBook Sales & Distribution? Blockchain uses a tiered mechanism of encryption and decryption for validation, then transfers digital assets and money. For example, you can sell and distribute eBooks using a blockchain system wherein the customer first enters the private key, then a public key from the retailer. These cryptographic keys combine to create a unique digital signature, which then passes through a network of P2P miners who validate the transaction and create a block. Each block is identified by its unique digital signature, and includes a link to the previous block. This ensures that the system is exceptionally tamper proof and secure. Blockchain is a promising new technology. Because it is still in the early stages of real-world implementation, it’s important to be aware of its advantages and drawbacks. The main advantages are reduction of intermediaries, empowered users, high-quality data, process integrity, transparency, and protection against counterfeit. Challenges include lack of clarity on regulatory status, as well as the need for massive computing power with tight security, privacy, and controls. This adds up to a higher cost than other methods, making blockchain a premium option. But this higher technology cost should be balanced against the business costs of piracy and copyright infringement, which can be astronomical. Content is valuable, and it’s time for publishers to safeguard it.